Aidan Gillen is an Irish stage and screen actor. He is known in Ireland for his role in Love/Hate, in the UK for his role in Queer as Folk and in the US for his role in HBO's television series The Wire in which he played Tommy Carcetti and for his role in Game of Thrones as Petyr "Littlefinger" Baelish. Gillen was born as Aidan Murphy in Drumcondra, Dublin, and educated at St. Vincent's C.B.S. . He has a sister, Fionnuala Murphy, who is an actress. He began his acting career as a teenager with Dublin Youth Theatre, at the age of 16 playing Bottom in A Midsummer Night's Dream at the Project Arts Centre, before moving to London. He is known in the UK for his role as Stuart Alan Jones in the ground-breaking British television series, Queer as Folk, and its sequel, Queer as Folk 2, for which he was nominated for the British Academy Television Award for Best Actor in 2000. 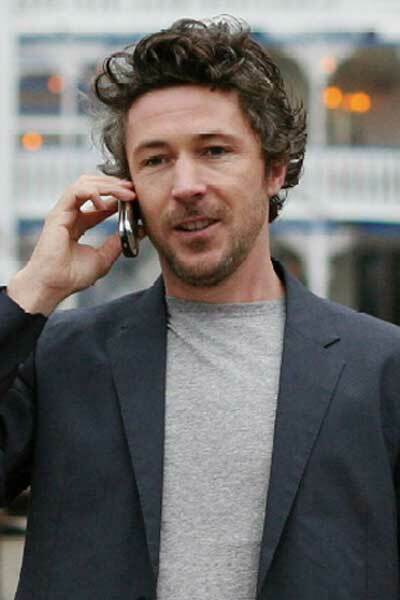 American audiences know him for his role as Tommy Carcetti in HBO's television series The Wire. Gillen was nominated for a Tony Award for his highly acclaimed Broadway role in Harold Pinter's The Caretaker in 2003. He has also been nominated for an Irish Times Theatre Award for his portrayal of Teach in the Dublin Gate Theatre's 2007 production of David Mamet's ''American Buffalo'. Gillen appeared alongside the professional wrestler John Cena in the 2009 film 12 Rounds. In July of that year, he appeared in a one-off BBC2 drama Freefall along with Dominic Cooper and Sarah Harding. In 2011, Gillen played the role of Petyr Baelish in the HBO series Game of Thrones and Barry Weiss in Blitz. He was also announced as the new host of Other Voices. In 2001, Gillen married his girlfriend Olivia O'Flanagan. The couple live in Ireland, with children Berry and Joe . In 2009, when Gillen won an Irish Film and Television Awards award for his role in The Wire, he dedicated the award to Olivia and their two children. Whole or part of the information contained in this card come from the Wikipedia article "Aidan Gillen", licensed under CC-BY-SA full list of contributors here.